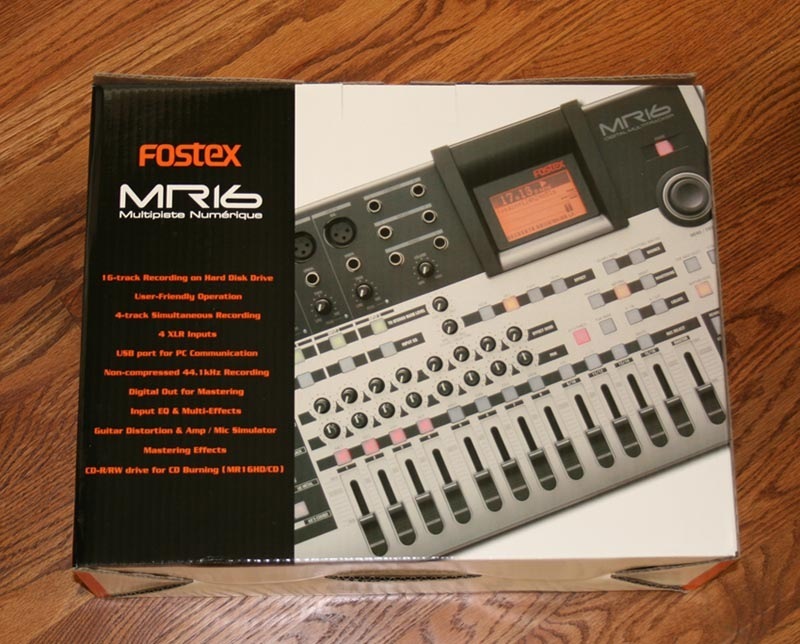 If you follow me on twitter, you know that I recently purchased a Fostex MR16HD multitrack recorder. I was inspired by the “Big Red Button” post by Hercules Castro, so I finally bit the bullet and ordered one. Anyway, UPS delivered it the other day and thought I would share my first impressions during the unboxing. While removing it from the box, I was surprised how compact it all was, about 15’’. I don’t know what I was expecting but I still envision those huge consoles in the studios that you see in the magazines and TV. I ended getting the black unit which, aesthetically, is more pleasing to my eyes. 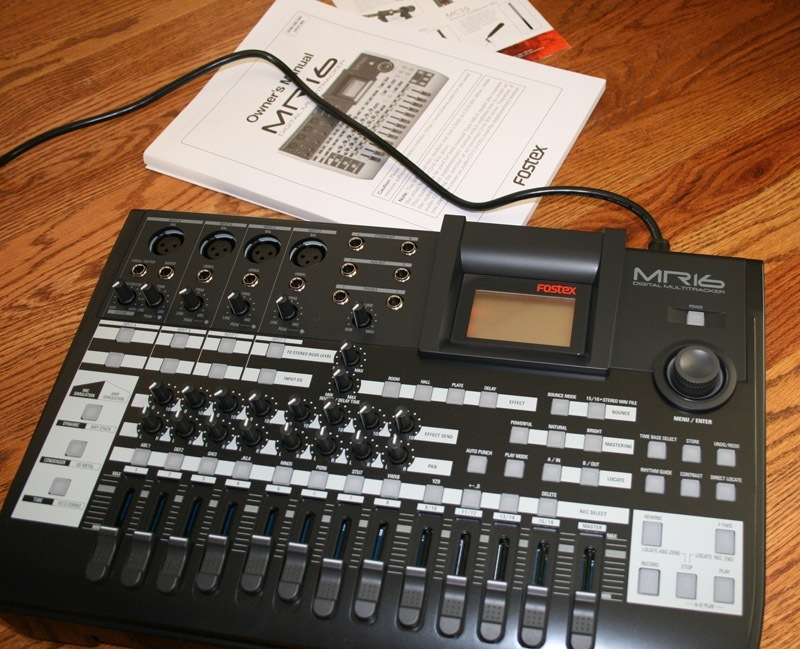 The overall unit is pretty impressive with man buttons and knobs but not too much to make it intimidating. 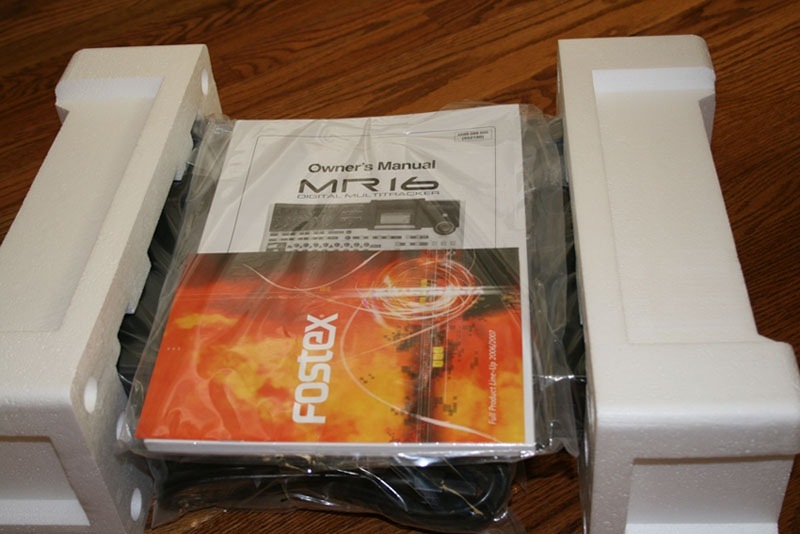 Keeping consistent to the Fostex claim of keeping it simple to let you get inspiration down. The sliders for the main volume and each track feels a bit cheap to me. I’m not saying that they are cheap, it’s just that I’m more used to the “weighted” feel of other consoles that I’ve worked on. The screen seems a bit small to me but is prob ably enough to do the job. I’m just the type of person that prefers more real estate. Powered it on and heard the 40 gig hard drive spin up. At first I was afraid that the noise of the hard drive would interfere with the quality of the recording. After the unit completing booted up, I could barely hear the hard drive, thus taking my worries about noise away. 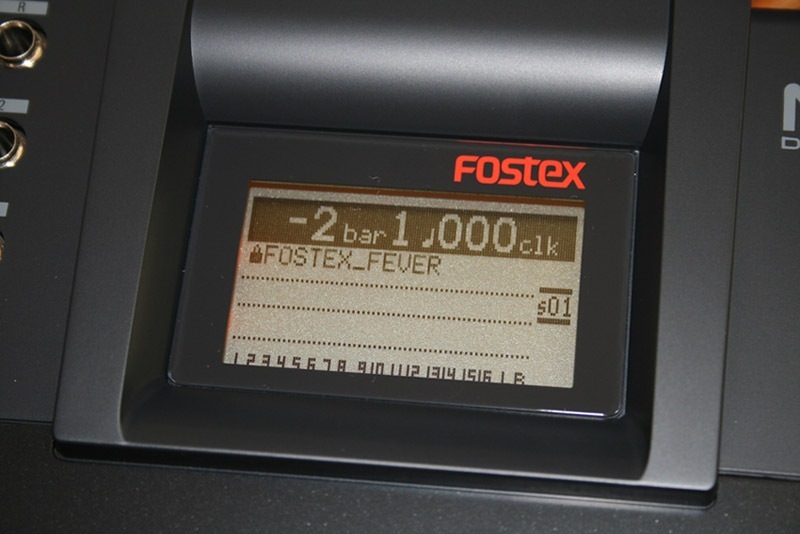 The unit comes with a sample song called “ Fostex Fever.” It’s your basic 80’s style keyboard, multi-vocal groove song to show you what the unit can do. Pretty cheesy song but it gave me the capability to mess around with the levels, EQ and effects for each track; a good tutorial to get me started. Now it’s time for me to record something. More thoughts on the functionality of the unit in future posts so stay tuned.